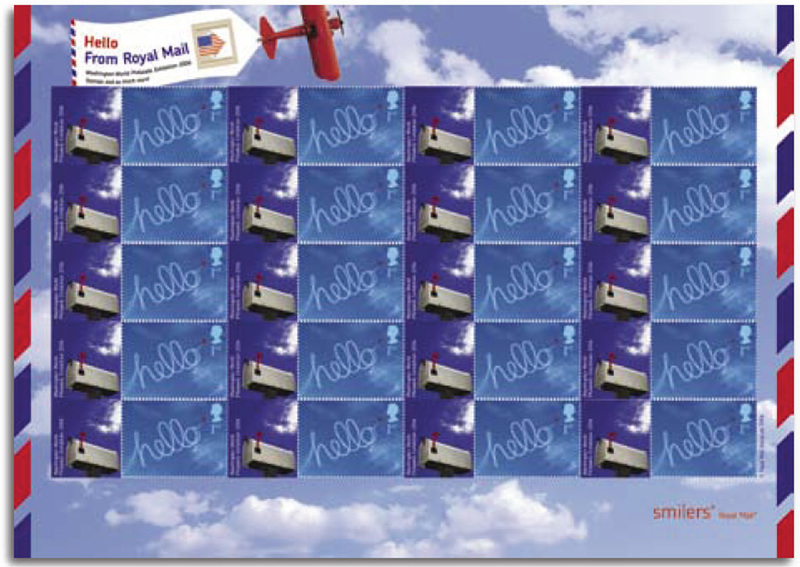 Royal Mail's Washington 2006 Smiler sheet is being issued 2 days before the show starts, unlike Pacific Explorer where the stamp was issued on the first day of the show. The show runs from 27 May to 3 June. This sheet - like the 2005 one - is printed by Cartor of France. The labels show the iconic symbol of the American postal system, the US Mail box. From the advance publicity mock-ups we have seen, all 20 labels are identical. Click on the sheet image for a larger version. We will produce an exclusive cover for this issue, with a single stamp. 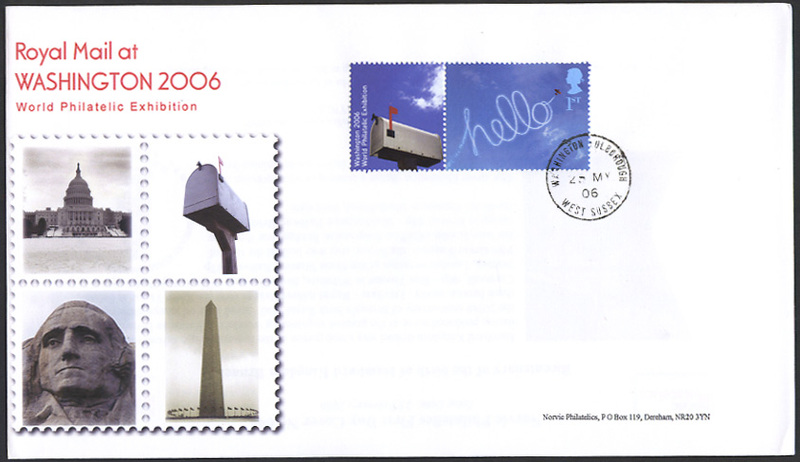 As there are no special postmarks for this sheet, nor official first day covers, we have no covers with pictorial postmarks. The price of our covers is £6.50 with a Washington cds which we will show here as soon as possible. We may have some of these also serviced at the show in Washington DC. More details when they are available, towards the end of June. There will be no PO FDCs for this stamp. All enquiries - please email us. We are investigating the possibility of producing some covers postmarked in Washington, but as the show will not have started when the sheet is issued, we are not quite sure how this should be done! No special postmarks were announced for the issue of this sheet.